Wave energy has attracted significant attention because of its non-polluting nature, environment friendliness, low operational cost and simple maintenance procedures compared to other clean energy sources. 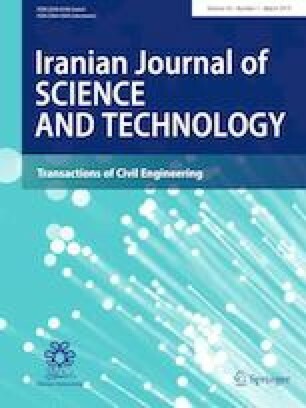 In this study, it was attempted to optimize an oscillating water column (OWC) wave energy converter, which is constructed on a shoreline. This study proposed numerical and physical models for the optimization of the OWC-type wave energy converters. Sixty-four experimental sets were carried out by a piston-type wave maker in order to investigate the influence of wave parameters, water depth and geometry of coastal structures on the efficiency of the system. A numerical model of the experimental model sets of the OWC system was performed by a software called Flow 3D. Intersection with a water–air in the software for the determination of the free surface of a volume of fluid method is used. K–ε turbulence model was used for turbulent model. The drag coefficient, surface roughness, pipe roughness and surface tension were used for calibration. It is observed that the numerical model results follow the experimental model results. The numerical and the experimental model results were compared with each other by taking into consideration the mean squared error, coefficient of determination (R2) and Nash–Sutcliffe efficiency (NSE) as performance evaluation criteria. According to the test results, the NSE value was obtained to be 0.97 and this value also shows very good agreement between numerical results and experimental results. The experimental results showed that wave parameters are strongly related to the outflow of air from the chamber, whereas the slope angle of the chamber is inversely related. Considering different water depths, the various wave series and angle of the chamber, maximum efficiency of OWC was obtained at 50 cm, wave series No. 1 and an angle of 40°, respectively. This research was funded by TUBITAK (The Turkish National Science and Technology Foundation) under the Grant Number 112M413. The authors are grateful to TUBITAK for supporting our study.